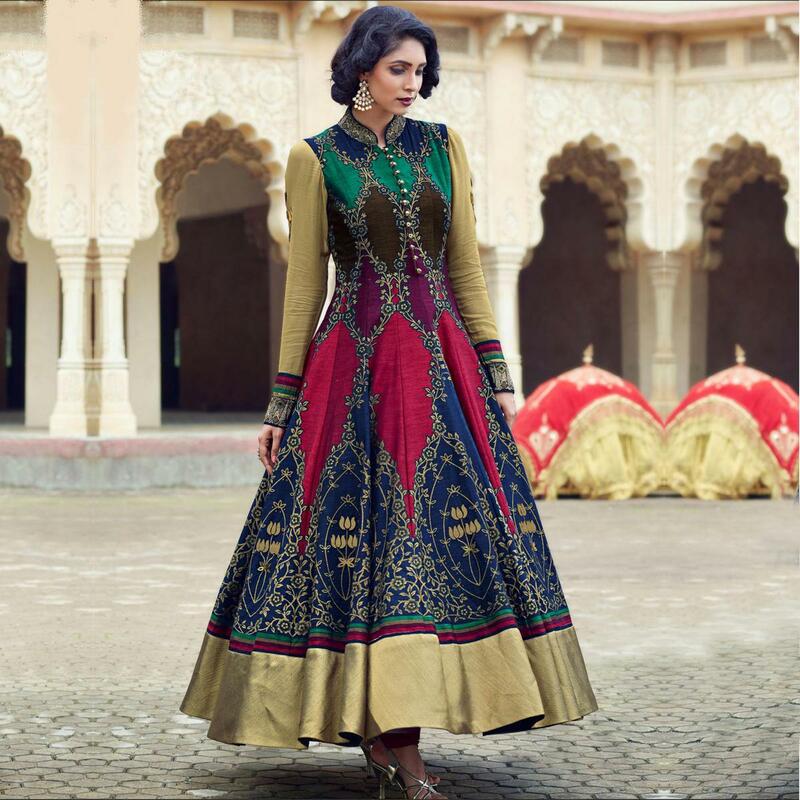 Look your ethnic best donning this latest fashion anarkali style gown. Featuring banglori & bhagalpuri silk top enhanced with patch and embroidery work a vital attribute of this outfit. This ready to wear outfit also comprises maroon color santoon bottom & net dupatta for a complete look. The decorative button placket within the attire makes it look more noticeable. You can wear this outfit for a party or you can wear it for a reception. Team it up with modern ethnic accessories and you are good to go.